For some, there is no better way to end a stressful day than to check videos of the racing cars of their childhood. Is there anything more satisfying than to watch old races with Alain Prost, and to admire the clean driving technique of the former champion? Petrol heads have fallen in love with cars from a young age thanks to people like him. And if that wasn’t enough, you’ve got the glorious sounds of the engine in the background! Others prefer people like Bruce McLaren who not only drove but also made his own car, unlocking the ultimate car experience beyond regular levels. Regardless of what kind of car lover you are, it can be difficult to get excited about cars anymore, especially when you can’t afford to buy the same vehicles than the drivers you most admire. However, if you’re looking for cost-effective excitement in the car industry, there’s still plenty of fun available for those who know where to look. It’s fair to say that there are plenty of attractive vehicles on the market. But you may not be tempted by a new car. Indeed, what’s the point of changing when you’re satisfied with the performance of your vehicle, especially when you know that you wouldn’t be able to sell it for a reasonable price. But you can add simple details to protect the car ahead of a future sale and make it look more exciting too. For instance, quality alloy wheels can make a great deal of difference in the appearance and overall condition of a vehicle. They serve as a shield for wheels, and reduce the risk of rust and damages. 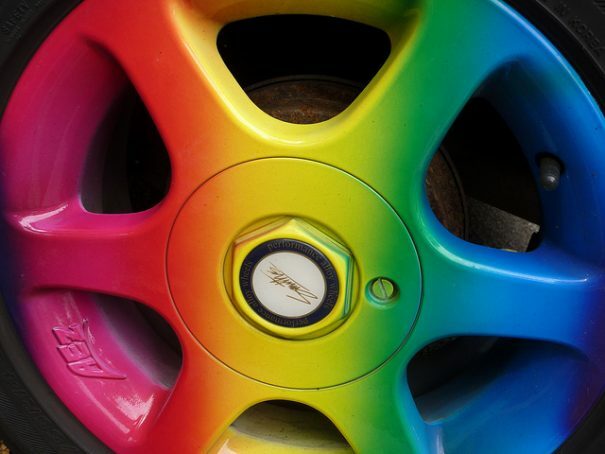 You can also go one step further by adding an alloy wheel rim protector which will give a nice finishing touch. The next stylish protection you can add is wrapping, as it will maintain the body paint of your vehicle and protect it from environmental factors. There are car drivers who understand the road, and car driver who understand the car. If you want to discover a whole new world of engine excitement, you need to get your head under the bonnet and take some mechanic classes. Without becoming a certified mechanic, you can learn to enhance your sensations behind the wheel when you know how your car works. When you know what’s behind every suspicious sound and what to put in the engine to maximise its performance, you can not only make your car go further, but you can also look after it with assurance. Have you reached a point in your life when you don’t just want to dream of a performance car, you want to own one too? Skip second-hand auctions online and head to your closest dealership network to discuss the option of a leasing contract. Indeed, you can get the model you want at an unbeatable price – you basically pay for the depreciation – and you don’t have to worry about the maintenance costs. In short, if you want to fall back in love with your car again, you don’t need to buy a brand new vehicle. You can protect with style, explore the performance side, or even lease your vehicle! ‹ Two Wheels Or Four? Which Option Is Best For You?